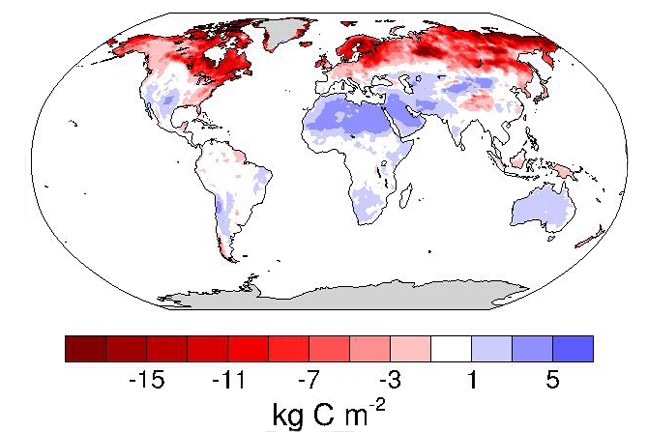 Map of predicted changes in soil C stocks by 2030-50 due to a 1°C rise in global average temperature. The darker red the color, the greater the carbon loss. A new global analysis finds that warming temperatures will trigger the release of trillions of kilograms of carbon from the planet’s soils into its atmosphere, driven largely by the losses of soil carbon in the world’s colder places. The increase in the atmospheric CO2 concentration will accelerate the pace of climate change. For decades, scientists have speculated that rising global temperatures might reduce the ability of soils to store carbon, potentially releasing huge amounts of carbon into the atmosphere and triggering runaway climate change. 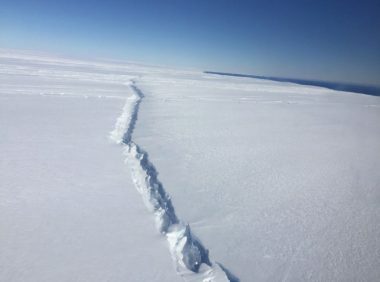 Yet dozens of studies at single locations in different places around the world have produced mixed signals on whether this storage capacity will actually decrease—or even increase—as the planet warms. Donald Trump’s denial of climate change has made him an adversary of environmentalists — a group that includes the world’s most revered religious leader. In an address to a group of scientists at the Vatican this week, Pope Francis suggested science has become more important than ever. 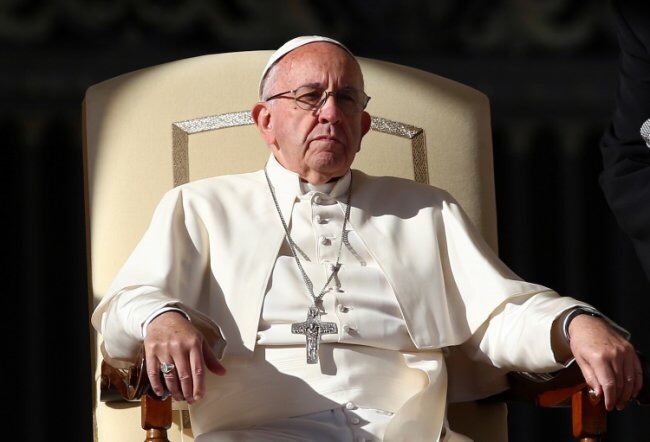 “Never before has there been such a clear need for science to be at the service of a new global ecological equilibrium,” the pope said, adding that the goals of the scientific and Christian communities are increasingly converging around the need to protect the planet. These sentiments echoed those more elaborately described in the pope’s encyclical on the environment, which was published in June 2015. 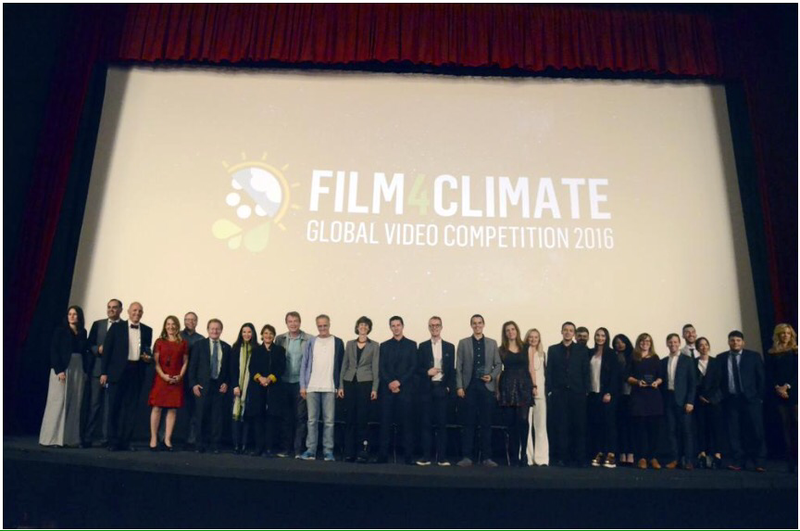 A photograph featuring the Jury members and attending winners of the Film4Climate Global Video Competition. As the COP22 Film4Climate Global Video Competition begins, the mood is somber: it’s the end of the first week of the Conference of Parties and just five days after the announcement of Trump’s election win. While uncertainty and fear for the future are palpable, there’s also a sense of hope, as this is where the efforts for taking action on climate change merge with the creative medium of filmmaking. 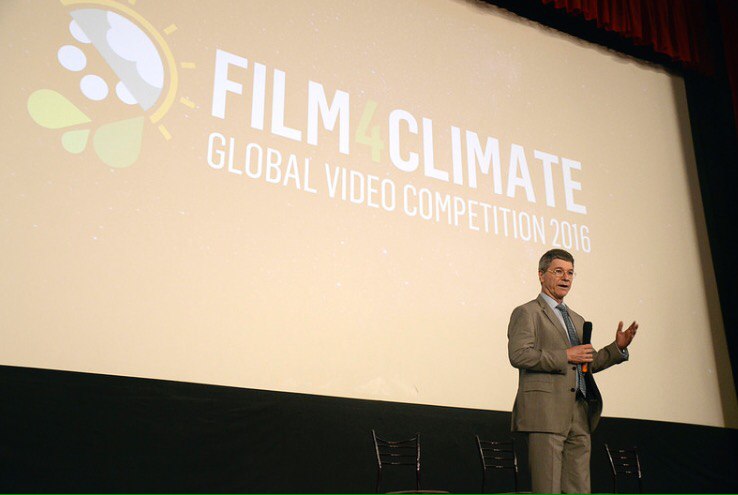 Part of the World Bank Group’s Connect4Climate initiative, the Film4Climate competition features the winners of various categories for under-one-minute PSA videos, and short films under five minutes. Winning productions portray both singular and comprehensive, oftentimes highly self-made movies that reflect the realities of and actions taken by many on the ground. With little fuss or fanfare, Australia’s two major parties have this week agreed to fly under the radioactive radar and pass an innocuous enough sounding law with some very far reaching implications. The Indian Civil Nuclear Transfers Act exists to provide “certainty to Australian uranium producers” who want to sell the controversial product to India. In 2015 a detailed investigation by Parliament’s treaties committee found there were serious and unresolved nuclear safety, security and governance issues with the proposed sales plan. It also found a high level of legal uncertainty. The Nuclear Free Local Authorities (NFLA) have formally supported and endorsed an independent assessment of the Westinghouse AP1000 nuclear reactor that outlines a number of serious safety concerns. There was a serious black out incident in South Australia last month due to high winds. Inevitably the anti-wind farm brigade were quick to blame wind farms and inevitably the media (who don’t know any better) were soon parrotting these claims. Is any of this true?No, not in the least. 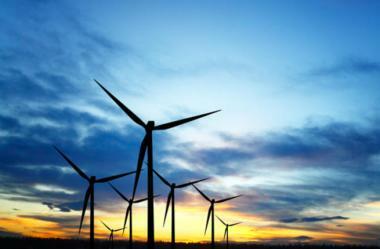 South Australia has seen a significant rise in renewables, in particular wind power over the last few years. They are now supplying 27% of the state’s electricity. However the fact is that the wind farms stayed up and running through the high winds and that it was the collapse of several powerlines that actually caused the black outs. Japan’s government estimates the crippled Fukushima Daiichi nuclear plant will end up costing its operator more than 170 billion dollars. The figure includes the costs of decommissioning the facility, as well as compensation and decontamination work. Tokyo Electric Power Company has said it will secure about 17 billion dollars to decommission the plant’s reactors. However, government officials now say the total cost will be more than 4 times higher. They estimate about 70 billion dollars will be required for the work, which includes removing melted nuclear fuel and dealing with radioactive wastewater. The costs of decontamination work and constructing intermediate storage facilities for contaminated soil and waste materials are also likely to increase. An additional 70 billion dollars will be needed to compensate farmers seeking damages. The government will temporarily shoulder some of the compensation costs, and seek repayment from TEPCO at a later date. Other power companies are sharing some of the burden, which means higher electricity bills for consumers. Japan’s industry ministry is currently working on a plan to reform TEPCO’s management and divert its profits to decommissioning work. But the ballooning costs are threatening this plan. The government aims to decide by the year-end how to share the financial burden, and how the work will be done. Japan Atomic Power Co said on Wednesday water used for cooling its Tsuruga No.2 reactor, shut for maintenance, splashed on 10 employees at work inside an auxiliary plant building without causing injuries or radioactive contamination. The electricity wholesaler said about 160 liters of water spilled, splashing the workwear of staff conducting inspections on Wednesday. The company said there was no leak of radiation to the surrounding environment. The incident was reported two days after utility Tohoku Electric Power Co said about 12.5 tonnes of seawater used for cooling pumps and motors inside its Onagawa No.1 reactor building had leaked. The Onagawa reactor is also shut for maintenance. The utility said in a statement the seawater contained no radioactive material and had not leaked to the outside environment. Evacuees from the Fukushima nuclear disaster deliver a petition to politicians in Tokyo on Oct. 26 calling for the extension of free housing benefits. Anxiety is spreading among many of the 12,000 or so households evacuated after the Fukushima nuclear disaster five years ago as their free housing benefits will end next March. In late October, about 180 people, who have been receiving free housing after leaving their homes in Fukushima Prefecture, delivered a 200,000-signature petition to politicians in Tokyo asking for the accommodation allowance to be extended. At the Upper House Members’ Office Building, they voiced their concerns, one after another. The central government and Fukushima prefectural authorities have been providing prefabricated temporary housing units or paying the rent of those who have evacuated either within or to outside the prefecture, even if they did not come from designated evacuation zones. The measures were introduced because many residents living outside evacuation zones left their homes out of anxiety over the spread of radioactive fallout. A total of 231.6 billion yen ($2.9 billion) had been spent by March 2016 on 44,000 households, including the cost of building prefab temporary housing units. But the Fukushima prefectural government decided in June 2015 to discontinue the assistance for evacuees from areas outside evacuation zones. “With cleanup efforts moving ahead, the living environments are getting better,” Fukushima Governor Masao Uchibori said at the time. The decision will affect the so-called voluntary evacuees, who lived in areas that were never designated evacuation zones, and evacuees from areas where evacuation orders were lifted in 2014. Briefing sessions have been held by the prefectural government since December 2015 at about 40 locations within and outside the prefecture to explain details of rent subsidy measures for low-income households, which will replace the free housing benefits. In late September, prefectural government officials faced a barrage of questions from about 70 residents of Kawauchi, Fukushima Prefecture, who packed a meeting hall in a temporary housing complex in Koriyama, also in the prefecture. The village of Kawauchi had 2,739 residents as of Oct. 1 and at least 889 of them were living for free in rented housing, prefab temporary housing units and elsewhere outside the village. Fumio Sakuma, 67, is one of them. His wife, who has a kidney disease, takes a 40-minute drive to hospital three times a week to undergo dialysis. Sakuma said he is anxious about having to relocate with his sick wife. “We would feel grateful if we were allowed to stay here for one or two more years,” he said at the meeting. Municipalities in disaster areas in Fukushima Prefecture, in the meantime, are hoping that the end of the free housing benefits will see a return of residents. The town of Naraha, also in Fukushima Prefecture, has seen less than 10 percent of its residents return. A test using a model of the No. 2 reactor’s suppression chamber and torus room at the Fukushima No. 1 plant is demonstrated for media in Naraha, Fukushima Prefecture, on Tuesday. NARAHA, FUKUSHIMA PREF. – A research institute used a full-size mock-up of part of a nuclear reactor on Tuesday to conduct trial decommissioning experiments for use on the disaster-hit Fukushima No. 1 plant. The International Research Institute for Nuclear Decommissioning (IRID) carried out the experiments using a 20-meter wide, 12-meter high model of the No. 2 reactor’s suppression chamber and torus room — areas located below the reactor’s containment vessel. IRID was established in 2013 by nuclear plant makers, power firms and government organizations to develop technology needed for the decommissioning of the Fukushima plant, which was damaged by the March 3, 2011 earthquake and tsunami. After the disaster, three of the plant’s reactors suffered meltdowns in the world’s most severe nuclear crisis since the 1986 Chernobyl disaster. The model is located at the Naraha Remote Technology Development Center, near the crippled Fukushima No. 1 plant. “We would like to continue testing until next summer, approximately, and use (the outcomes) in deciding methods to retrieve fuel debris,” Atsufumi Yoshizawa, IRID executive director, said. Removing nuclear fuel debris is perceived as one of the most difficult challenges in the decommissioning process. With radiation emitting from the debris, a method is under consideration to fill containment vessels at the plant with water and remove debris from the top of the vessels, using the water to provide some protection from the harmful radiation. Challenges in implementing this method include how to prevent contaminated water leaking from cracks in the vessels. During Tuesday’s experiments, which were open to the media, workers wearing protective suits and masks attempted to insert a hose into the torus room mock-up while using remote cameras to observe their work. A further experiment to stop water leaking from a suppression chamber is planned. Kagoshima Governor Satoshi Mitazono on Nov. 28 explains to the prefectural assembly why he has requested a budget to form a committee of experts on nuclear power generation. KAGOSHIMA—Anti-nuclear activists are castigating Governor Satoshi Mitazono, saying the politician has retreated from his campaign promises regarding the planned restart of a nuclear reactor in the prefecture. Despite stressing that he would take a hard look at safety issues, Mitazono’s actions on Nov. 28 indicate that Kyushu Electric Power Co. will be allowed to restart the No. 1 reactor at its Sendai plant on Dec. 8 as was expected. “What he had done over the past months now appears to be a mere publicity stunt,” said Yukio Taira, chief of a confederation of labor unions in Kagoshima Prefecture. Taira withdrew his candidacy in the governor’s race in July after he and Mitazono agreed on many policy measures toward a temporary halt of operations at the nuclear plant in Satsuma-Sendai. Mitazono on Nov. 28 submitted to the prefectural assembly a budget proposal for establishing an expert panel on nuclear power generation–a centerpiece of his campaign pledges. “I will make a comprehensive judgment on how to respond when the panel releases its findings of the utility’s reports on ‘special checks,’” Mitazono told the assembly session, referring to the reactor restart plan. However, given that a governor does not have the legal authority to order a halt, the No. 1 reactor will probably already be running by the time those findings are released. The assembly is expected to vote on the budget request for the panel on Dec. 16. Kyushu Electric is scheduled to release the outcome of its special checks in early January. The utility agreed to carry out the additional checks in response to the new governor’s concerns. These inspections, including checking bolts fastened on barrels containing nuclear waste, are nothing new and have been done in the past, according to Kyushu Electric. Two reactors at the Sendai plant were the first in the nation to go online under new nuclear safety regulations set up after the 2011 nuclear disaster in Fukushima Prefecture. The No. 1 reactor has been shut down for maintenance since October. The No. 2 reactor is scheduled to be taken offline in December for a routine inspection. Concerns over the safety of the nuclear complex arose when roads and other infrastructure were damaged in a series of powerful quakes that began rattling neighboring Kumamoto Prefecture in April. After gaining support from anti-nuclear groups, Mitazono won the race against the incumbent, who was seen as friendlier toward nuclear power generation. But after he took office, Mitazono appeared to back off from his campaign promises. He did request an “immediate halt” of plant operations to Michiaki Uriu, president of Kyushu Electric, in late August and early September. After the company refused the governor’s requests, Mitazono decided not to pursue the issue, saying a governor does not have the legal authority to demand a halt to operations. He tried to assuage public concerns about the safety of the plant, citing the extra special checks the utility promised to conduct. Taira said Mitazono has rejected repeated requests for a meeting with him and other anti-nuclear activists. They have asked Mitazono to quickly establish the expert panel for possible action to counter Kyushu Electric’s reactor restart plans. But the governor did not reply. Mitazono also did not submit a budget request for the expert panel in the September session. “He is breaking the campaign promise if he allows the resumption of the plant without obtaining the conclusion of the panel,” Taira said. According to one source, the governor told an informal gathering of members of the Liberal Democratic Party, the largest group in the assembly, that he shares the LDP’s direction in nuclear power policy. KAGOSHIMA — Gov. Satoshi Mitazono on Nov. 28 effectively expressed his approval for the restart of the No. 1 reactor at the Sendai Nuclear Power Plant in Satsumasendai, which is undergoing inspections. The governor said that he will draw a conclusion on operation of the No. 1 reactor after the completion of special checks that are concurrently being performed by the plant’s operator, Kyushu Electric Power Co. Since the special checks include items that are to be completed after the reactor is scheduled to resume operation on Dec. 8, the governor’s comments indicate that he accepts reactivation of the reactor. In a prefectural assembly meeting on Nov. 28, the governor presented a supplementary budget draft for December that earmarked 3 million yen to set up an inspection committee to probe the safety of the Sendai Nuclear Power Plant and the appropriateness of evacuation plans. In explaining this, he stated, “We will have the inspection committee verify and confirm a report on the result of the special check to be submitted by Kyushu Electric Power Co. and make a comprehensive decision based on its conclusions.